A multitude of most perplexing forms, some fused into an unexpected unit and some confronting each other in a provocative or amusing fashion, constitutes the motley world of geometric and organic elements which orchestrate this painting. To the left of the fish-like form at the upper right a sharp wedge pierces a multicolored circle, creating an effect which Kandinsky compared to the drama of the finger of God touching that of Adam in Michelangelo's Sistine Ceiling. 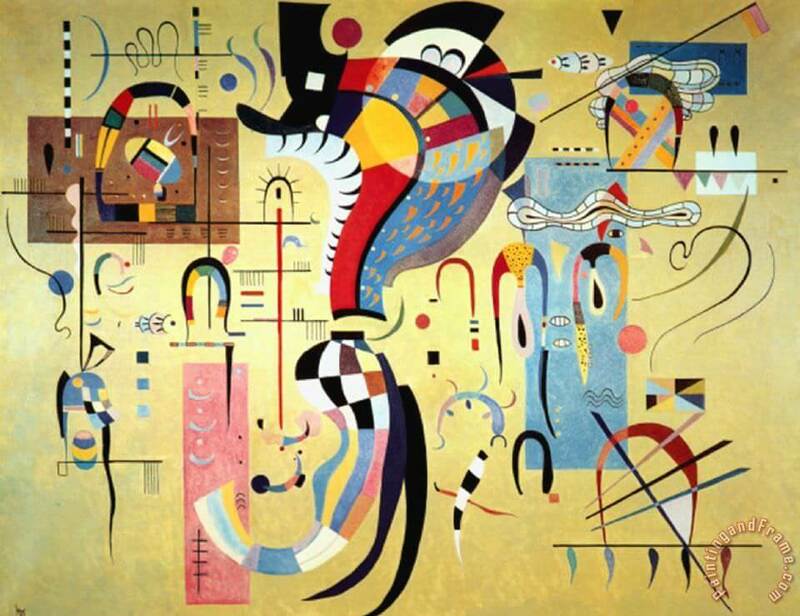 Reflecting upon the history of art, Kandinsky observed that the "noisy" representation of figures in motion, during the Renaissance, was superseded by the inherent stillness of landscape painting and that landscape, in turn, was replaced by the even calmer still life. Thus, finally, with abstract art, the interpenetration of geometric forms becomes more eloquent than the most active movement of figures in classical painting.